When East West Rail completes in the 2020s, it won't be the first time the two cities of Oxford and Cambridge have been connected by rail. The Varsity Line ran between the two cities for over a hundred years between 1851 and 1967 carrying both freight and passengers. Much as we're doing today, the line was opened in phases - the Oxford-Bedford section, and the Bletchley-Bedford section both opened in 1846. with the Bedford-Cambridge section following in 1851. At first the two sections were owned and operated by different companies but by 1922 the line was finally operating complete services the whole length of the line, eventually run by British Railways after rail nationalisation in 1948. British Railways first suggested closing the line in 1959, but local support for the service was extremely strong and the line survived. In 1963, the infamous Beeching Report was published, recommending a third of route miles in the British rail system be closed: the Varsity line was not one of those earmarked for the "Beeching Axe" and it again survived. 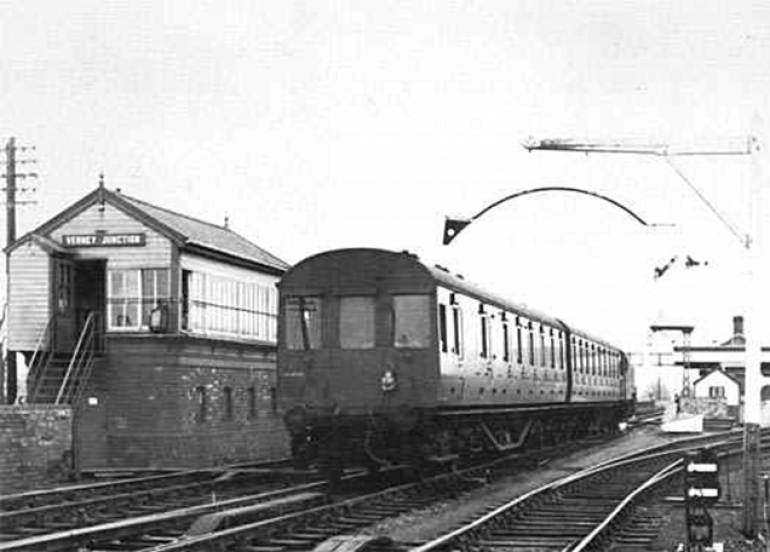 However, following a significant improvement of services into London, traffic on the route fell and services were finally withdrawn from Oxford-Bletchley and Bedford-Cambridge sections at the end of 1967. Only the Bletchley–Bedford section remained open for passenger traffic. In 1987 the Oxford-Bicester Town section reopened, closing again in 2014 so work could begin in earnest on the new East West Rail line. Proposals for the new East West Rail line began to gain momentum in the 2000s, led by the East West Rail Consortium - a group of local authorities and businesses who have long advocated for reconnecting the area by rail. The project received government support in 2011 and was included in the rail industry’s five year investment programme in 2012. After a period of planning, Phase 1 of the project began in 2014 and involved a double-track upgrade between Oxford and Bicester, along with a new Oxford Parkway station and rebuilding of a larger station at Bicester. By the end of 2016 Phase 1 had been delivered and in late-2017, the government established East West Railway Company to accelerate delivery of the remainder of the scheme.